BJP general secretary K Surendran was initially arrested on November 17 from Nilackal, base camp, while on way to the Sabarimala Temple after he attempted to defy prohibitory orders. 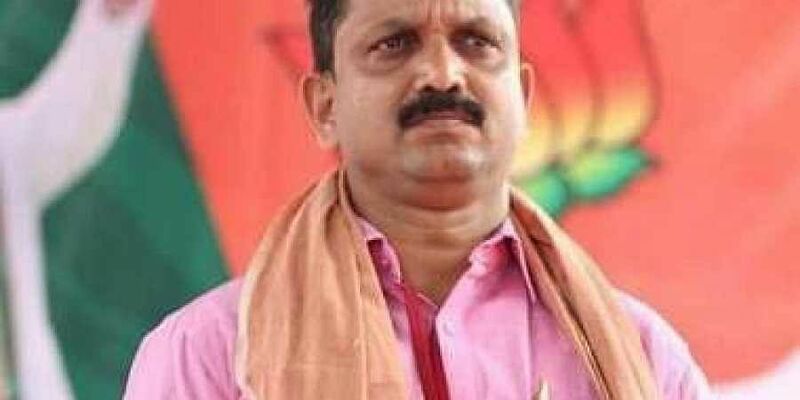 THIRUVANANTHAPURAM: The Kerala High Court Friday granted conditional bail to BJP general secretary K Surendran in a case related to alleged attack on a 52-year old woman pilgrim by frenzied Lord Ayyappa devotees at the Sabarimala Temple on November 6. This is the second case related to the Sabarimala protests in which the BJP leader had been granted bail. He was initially arrested on November 17 from Nilakkal, base camp, while on way to the Sabarimala Temple after he attempted to defy prohibitory orders and refused to go back despite a request from the police. Surendran was granted bail in the case on November 21 by a court in Pathanamthitta, but remained in prison till date as he was also booked in the case related to the alleged attack on the woman pilgrim. Sabarimala had witnessed violent protests by a section of devotees against the state government's decision to implement the September 28 order of the Supreme Court, allowing entry of women of all age groups into the shrine. The BJP has criticised the state government over the arrest of Surendran.